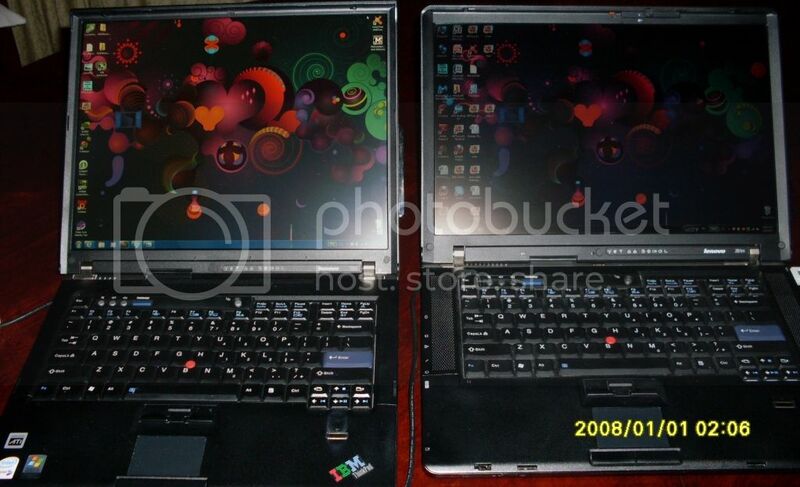 Should I even bother with comparisons involving TN panels found on ThinkPads? A: While I'll admit that there were times when I was financially better off than I currently am, there's still no need to make my kids' breakfast on the heatsink of any laptop...yes, I have considered the aforementioned option but decided against it since cooling could very well prove to be inadequate...and that's not something I'm willing to play with. Very interesting Frankenpad indeed. Kudos to you and RBS for making these things possible. 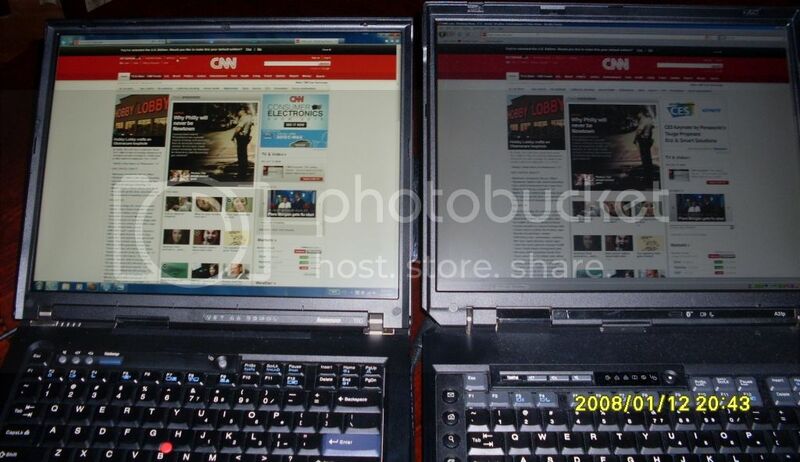 This is truly stretching the Thinkpad legacy beyond anything envisioned by the early adopters! Very nice indeed. The LED certainly looks good compared to the other screens. Congrats! I only wish an LED 16:10 WUXGA panel were in my affordability range. Radioguy wrote: Congrats! I only wish an LED 16:10 WUXGA panel were in my affordability range. What's with the Brooklyn residents - former and present - and widescreen hi-res LED FlexView panels? Why thank you, kind sir! Should I mark you down for a dozen of these? 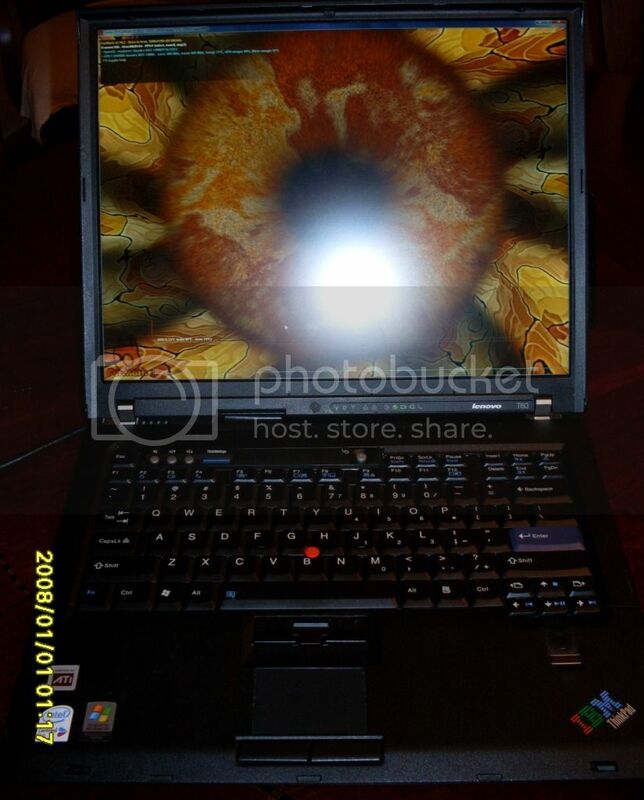 This is truly stretching the Thinkpad legacy beyond anything envisioned by the early adopters! Well, one can dream; can't they? 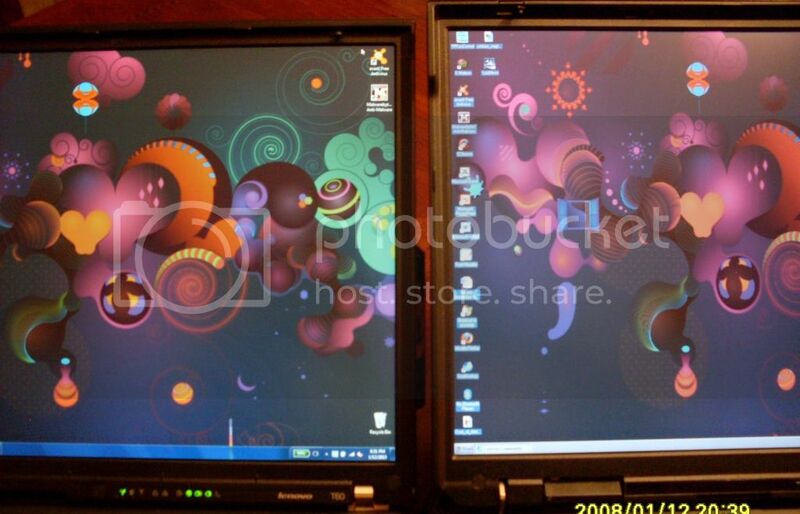 Besides, the screen is the next foreseeable replacement on my T61, and I've hated the LG with a passion for some time. I don't know that it was a matter of technical ability, but rather of cost. Between 2007-2008 is when prices for notebooks dropped significantly. Assuming they dropped that into the market and it cost significantly more than other notebooks, would there be enough customers to support it? ZaZ wrote: I don't know that it was a matter of technical ability, but rather of cost. Between 2007-2008 is when prices for notebooks dropped significantly. Assuming they dropped that into the market and it cost significantly more than other notebooks, would there be enough customers to support it? 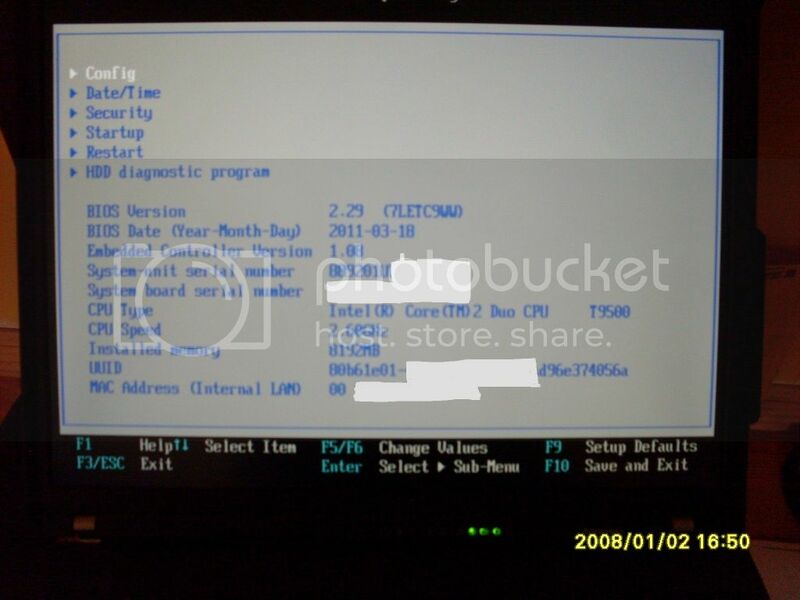 If I recall correctly and I may not, the IPS panels on the Elitebooks and Precisions did not come until later, after the W700. Lenovo does not have an answer for them. That much is clear. ajkula66 wrote: Why thank you, kind sir! Should I mark you down for a dozen of these? Well, maybe not a dozen But I'm getting really tempted to get one. Can this also be done to a WUXGA screen? Tasurinchi wrote: Can this also be done to a WUXGA screen? These LCDs are factory-LED-lit, not converted from CCFL. I presume that most CCFL panels can be converted to LED, but that's not something I've personally attempted. Hence, it being out of my ballpark. I would love to know, assuming someone has done that successfully, how to do it, though. The question is whether I'd be happy with the original WUXGA in the first place assuming I realize I can't pull off the mod. I do wonder about native LG WUXGA brightness compared to the WSXGA+ I have. Looks like I've been wondering about that for a long time, so rather than complete the threadjack, I'll bump this for more input on that. 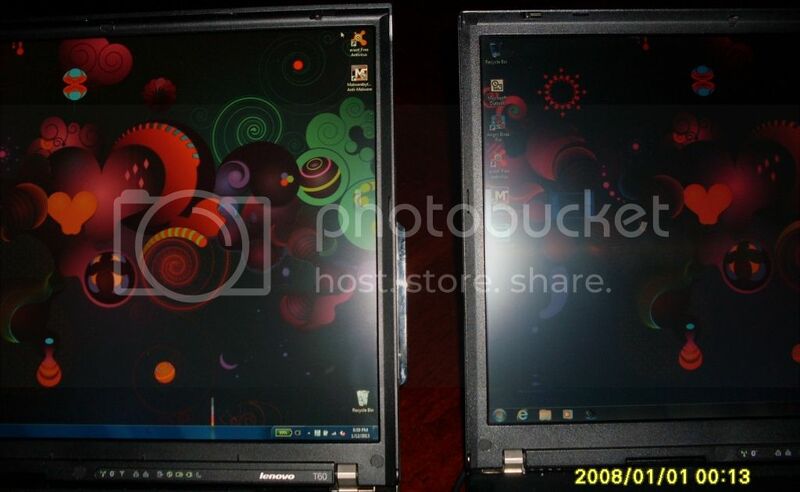 What screen was used in this endeavor and modifications were required to get it working, or did I miss it? It's a Boe Hydis LED-lit UXGA FlexView panel. No modifications to the LCD itself, but this build does involve a custom wiring harness as well as a modded inverter. 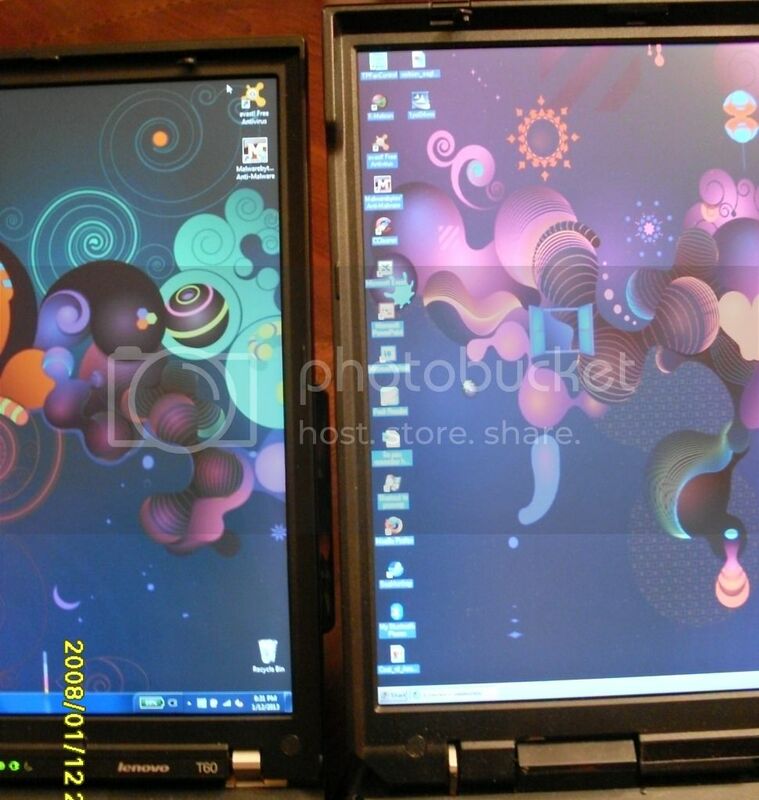 ZaZ wrote: What screen was used in this endeavor and modifications were required to get it working, or did I miss it? The screen is a Hydis HV150UX2-100. My approach is kinda "quick and dirty", but it works wonderfully. twistero wrote: My approach is kinda "quick and dirty", but it works wonderfully. You are a very brave man. I'd never get any sleep with that type of a setup in *any* of my machines. To each his/hers own, obviously. Nice! I haven't studied this in detail before, but it appears that this is a conversion offered for T60s only? Nothing offered for T43? I bought a couple of UXGA panels for my T60s to replace the SXGA panels when they became dim. I have swapped one SXGA, while the other SXGA isn't too bad yet. But I see that a LED conversion could be more interesting when the time comes to swap that one. Nice Citroen SM, by the way. Headlights that turn with the front wheels isn't a new invention. This car had it in the early 70s. THINKPAD collector. Only missing a proper RetroThinkpad. Norway Pad wrote: Nothing offered for T43? Have you seen mine here? That's where the T43 LED screen was, I knew I had seen it somewhere. Is RBS doing the actual work of the T43 SATA conversions too? In that case parts of my T43 need to go visit him sometime this year anyway. I will ask him what it takes. The T43 is actually one of my favorite Thinkpads, so having a "top end" one with SATA SSD and LED panel would be a nice treat. I was suspecting you didn't actually own the SM. Then you would have been the owner of a highly exclusive car. I have only ever seen one of them live, and spent quite a while looking at it from behind. It was almost weird to see how the apparently wide front end taper to the rather narrow rear end. According to the swedish owner, the Maserati(?) V6 gave it good performance, and the variable power steering and hydraulic suspension gave it good high speed handling. But you needed to be an enthusiast to own one. Actually, the French were 20 years late. A primitive version was implemented by Tucker back in -47, then Citroen "invented" with it during the early fifties, then Porsche reinvented it again in -01. Also, some DS models had it back during the fifties. But I don't believe those were mass produced for neither market (EU or US). The US has been hopelessly behind in automobile safety systems for ages. 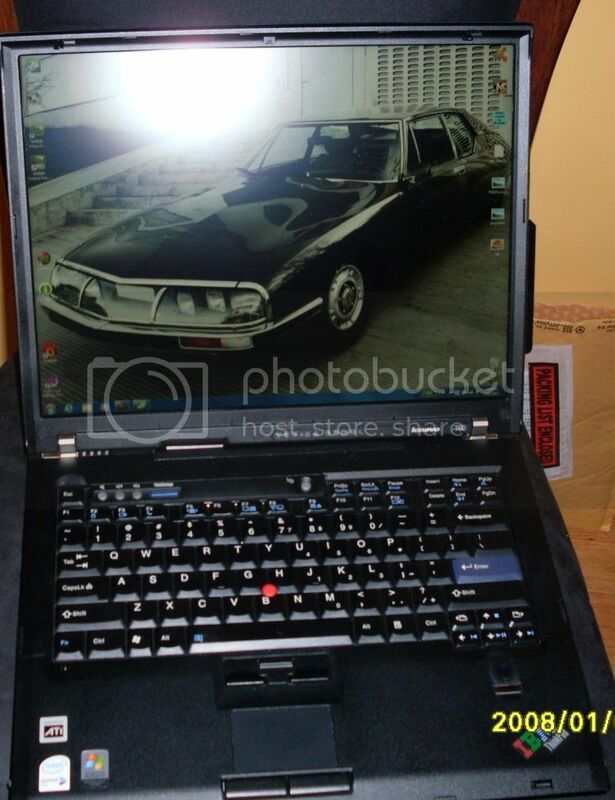 George, how much money did you put into this best-ever 4:3 Thinkpad? Including all material and RBS's service. UXGA is a pretty good resolution for laptops. Today I picked up a Dell 2007FP monitor through Craigslist for $38 and am typing this message on it. 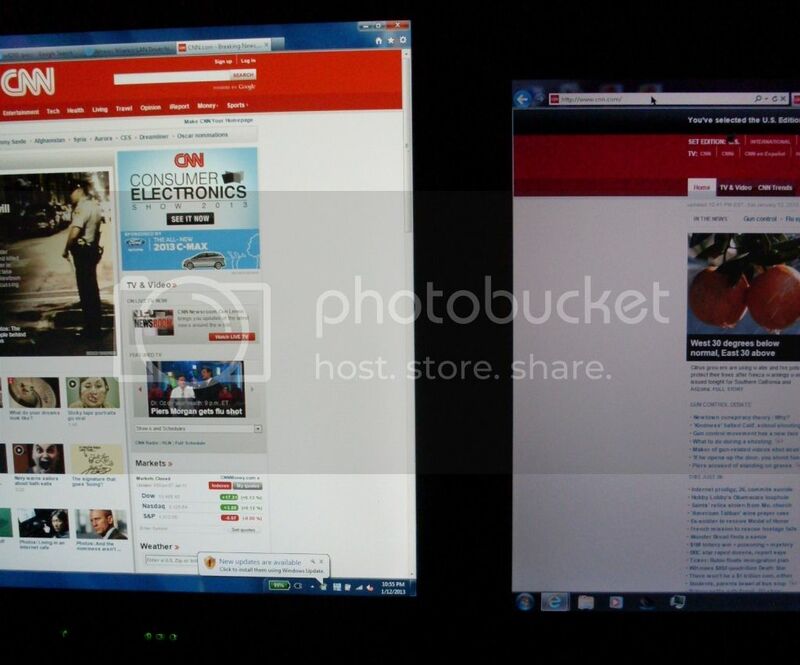 So much more spacious than the 17" 1280x1024 monitor that it has replaced. Norway Pad wrote: Is RBS doing the actual work of the T43 SATA conversions too? In that case parts of my T43 need to go visit him sometime this year anyway. I will ask him what it takes. The T43 is actually one of my favorite Thinkpads, so having a "top end" one with SATA SSD and LED panel would be a nice treat. Then you would have been the owner of a highly exclusive car. True, although his Torpedo had a central "Cyclop's eye" headlight moving only. A stunning vehicle by all means that one was. Also, some DS models had it back during the fifties. No. The re-designed front end was presented on Paris Auto Salon in October of '67. Earlier cars - even the Chapron custom build ones - had either two or four fixed headlights. Don't the IPS screens have issues with ghosting? I've tried to avoid them for this precise reason, but the XGA screen in my T4X is dying and an upgrade is in the works. 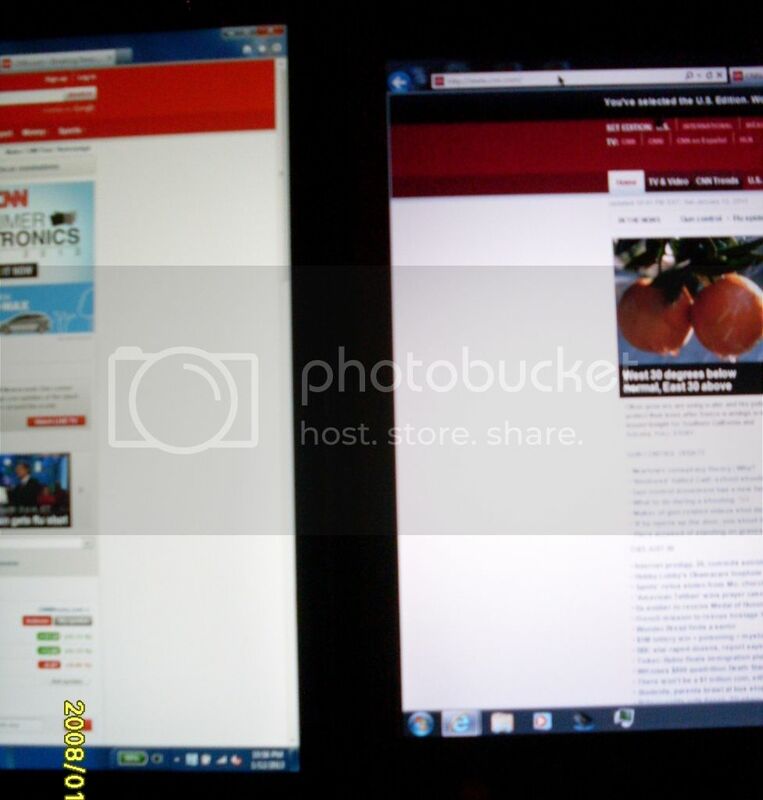 DaKKS wrote: Don't the IPS screens have issues with ghosting? I've tried to avoid them for this precise reason, but the XGA screen in my T4X is dying and an upgrade is in the works. Some of them do, but that's more of an exception than a rule. ajkula66 wrote: Some of them do, but that's more of an exception than a rule. Yeah, I kinda started hating them after my school handed me a rMBP with unbelievable ghosting. Gave it back after two days and started using my X201 in school instead. Been kinda wary of them since then. Wow! How did I miss seeing this thread Nice. ajkula - Where was the QXGA thread? 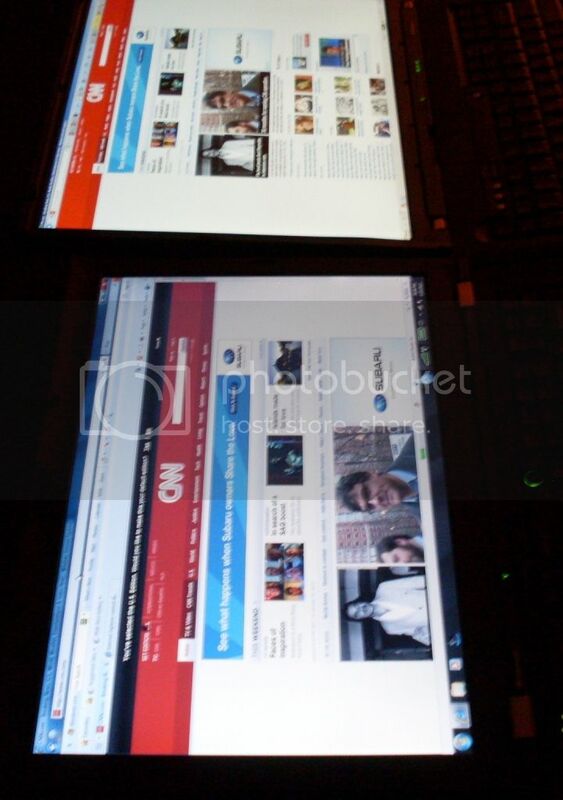 I've recently had experience with some non 4:3 laptops and it made me realize the importance of the the Vertical resolution. 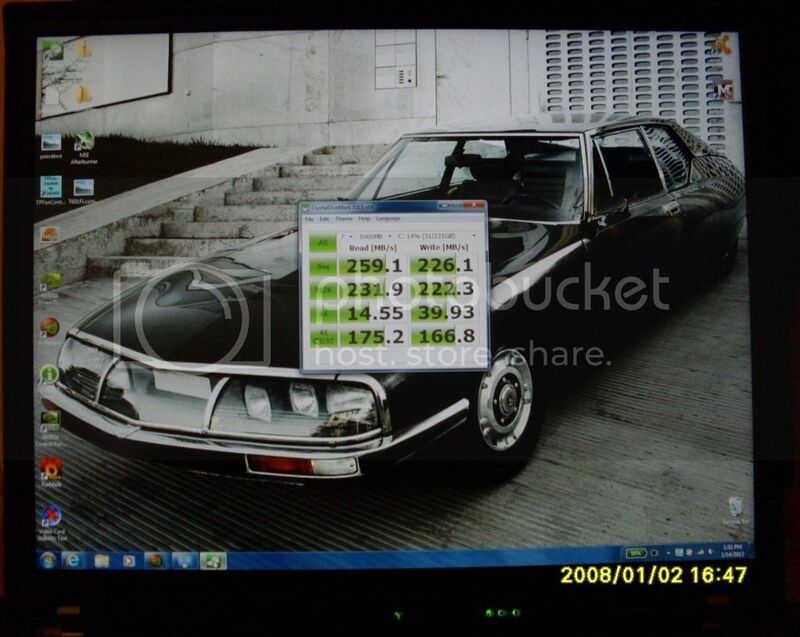 Running an Intel X9100 in T601 frankenpad without hardware mod? So I am in the process of building a T601 frankenpad, and thinking about what cpu I should get. The X9000 around $40 is still just too expensive.